IMPERO Blanc de Pinot Noir. 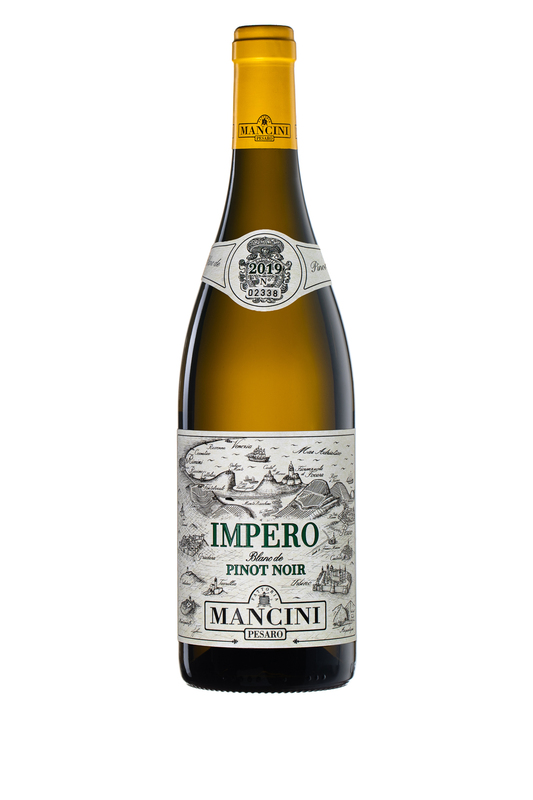 The Impero wine, “Empire” in Italian, is the culmination of more than forty years of experience in the production of a still white vinification of Pinot Noir and moreover the result of the will to produce an important white wine only using the varieties traditionally grown by the family. Since the rst release, with the 1998 vintage, it has quickly become the agship wine of the winery. This wine is produced by softly pressing whole bunches with the utmost care to minimise skin contact and colour extraction. It is barrel fermented, aged in oak for 12 months. It’s a wine with unique characters, with great complexity and extraordinary longevity. In baskets - in a mobile cooling cellar equipped with an independent motor. The cooling cellar was transported to the vineyard every morning, allowing the grapes to be cooled as soon as they were harvested. The cellar then returned to the winery in the evening to continue the cooling process during the night. The grapes were pressed the next morning at a temperature of around 9°C. Vinification The grapes were whole bunch pressed at 9°C; must was extracted until 50% in weight of the grapes. The must was cold settled and then racked without the use of a clarifying agent. Fermentation took place in barrel at a temperature of around 18°C, in a temperature controlled cellar.